A brief film of a train ride through the the spectacular Douro wine region in northern Portugal, ending up at Quinta de Vargellas, which is one of the properties owned by the Taylor Fladgate group. The train is an excellent way to travel in the Douro because the track runs along the river, whereas the road is less direct, and less scenic. You can take a train from Porto all the way to the Douro, changing at Regua (see the timetable at www.cp.pt); here we started at Pinhao, in the heart of the wine region, and headed out towards the Spanish border, stopping a short way before the end of the line at Vargellas' own station (the line now ends at Pocinho, a few stops further on). 2007 is a very successful vintage in the Douro, which is one of my favourite places on earth. And this Quinta da Gricha is one of the many serious table wines made this vintage, by the growing bevy of top flight Douro producers. I wonder how long it will be before Portugal is given the credit it deserves for its best wines? Nice touch to see a black and white aerial view of the vineyard on the label. A couple of pictures from my September visit to the Fladgate partnership in September, which I've just been sent by Andy Costello, who took them. The first is of me trying to drive the Douro. I reckon the carry must be about 250-270 yards. It's a big ask. I creamed a couple, as did Andy, and they fell just short. I think this picture is of one that wasn't hit so cleanly. The second is treading in the lagares at Vargellas late one evening. I'm at the back, sort of in the middle, with the really big hand prints on my shirt. It was a fun trip. Just been editing some of my pictures from this year's trips to Portugal's Douro. It really is a spectacular place. If you've never visited, you owe it to yourself to go there. Today was the long-awaited New Douro 2007 tasting, where we finally got an in depth look at the 2007 vintage in the Douro. It was held in the spectacular east room on the seventh floor of the Tate Modern (the view is above). 2007 is a very exciting vintage with some lovely wines. And its interesting to see a diversity of styles, too. You'd be hard pressed to put your finger on exactly what the 'Douro' style is. It's a region that seems to express itself in many ways. From a tasting like this, I feel bad about picking out just a few highlights, because there were so many really good wines. And as well as the table wines, we got a chance to look at many of the 2007 Ports (although the big omission here was the Taylor Fladgate group, who don't make a table wine). 2007 is a great vintage both for Ports and table wines. Also worth pointing out is that this New Douro group is a sort of club, and there are some top Douro wines that aren't part of the club. For example, Noval has been allowed in at last, but there's no Romaneira here. There's no Passadouro. No Bago de Touriga. No newcomers such as Conceito, Sao Jose and so on. Including these would probably make the tasting too large. I have to mention a few wines. Niepoort's 2007 line-up was thrilling. The wines have taken on their own personalities in ways that they haven't before. They are getting more elegant, more linear. Redoma is perhaps the best yet, with a move away from just small oak to larger, more neutral oak (40% of the blend) which Dirk has purchased from Italy. Charme is just incredible in 2007, with newfound elegance and purity. Batuta is so focused, taut and fruit-driven but with amazingly persistent fine yet firm structure. I re-tried 2004 Robustus, and was awed. This wine has, in bottle, begun to fuse into a taut core, putting on weight and structure, and paradoxically getting fruitier and purer. It is perhaps Portugal's greatest wine ever? It will need patience, though. Luis Seabra says that the 2005 is better still. Jorge Borges and Sandra Tavares of Wine & Soul/Pintas, produced some great wines in 2007. As well as the lovely reds, the 2008 Guru is a serious wine. It's white (Douro whites are an emerging story) from old vines, and it has lovely grapefruit pith precision with well integrated oak. It reminds me of the very best white Bordeaux. Jorge Moreira's Poeira is a Douro first growth, and its getting better and better. The 2007 is the wine Jorge is happiest with of all those he has made. It's focused, pure, quite elegant and is tight-wound, with a long future ahead of it. The Symingtons (or the Syms as they are commonly known) finally have a world class red table wine in their portfolio. It's the 2007 Quinta do Vesuvio, and I really like it. 70% Touriga Nacional, 20% Touriga Franca and 10% Tinta Amarela, It's sweetly fruited, aromatic, but structured and alive, too. Fantastic stuff. Portugal's Douro Valley is primarily red wine country, but of late the whites have really begun to impress. It would be interesting to do a tasting of high-end Douro whites, but serving them to tasters blind, so they were tasting without prejudice. The results might be fun. Two brilliant wines from the Douro, from two rather different properties, under the same management. They are both the 'second' wines of the respective estates, which makes them relatively affordable (c. £12 each, well priced for wines from these amazing terroirs), but they deserve to stand on their own merits as reasonably serious efforts. They are both from the 2007 vintage, which in the Douro was fantastic. Cedro do Noval 2007 is classified as a Vinho Regional Duriense because it has a good dollop of Syrah in it, as well as the native Portuguese varieties. It's beautifully aromatic, balanced and nicely structured, with lovely sweet dark cherry and blackberry jam fruit backed up by good acid and grippy tannin. No hurry to drink this. It's named after the famous cedar tree in front of the Quinta (pictured below). R de Romaneira 2007 is perhaps a little richer and darker, but still with great definition to the sweet fruit, and hints of meat and spice adding complexity. Lovely fusion of rich fruit with fresh acidity and some assertive but ultimately tamed tannins. Both wines are classy and show great balance, with 13.5% alcohol. 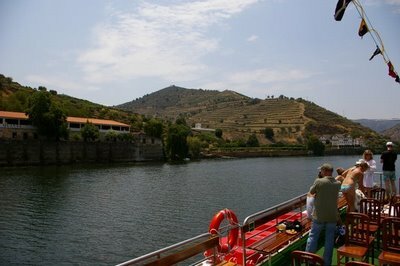 I wish I was back in the Douro. It's such a magical place. Here are some more pictures from last week's trip. They're from Taylor's Quinta de Vargellas in the Douro Superior. 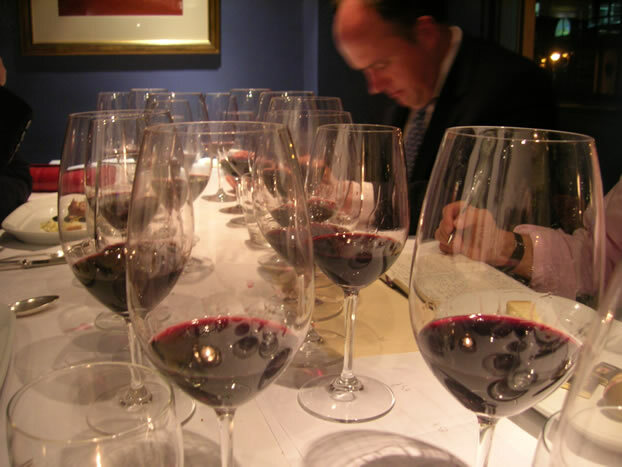 Just written up the 2007 vintage Ports on the main part of the site here. If I wasn't paying for one of my children's education, I'd go big on this vintage, which I think is fantastic. I also think the 2003 vintage is equally excellent, after having retried a number of the wines. My choices? I'd order a case of Noval, a case of Niepoort (backward but serious), a case of Taylors, a case of Graham, a case of Warre, and then some Romaniera and Silval to keep me going in the meantime. Vintage Port rocks. Mostly pictures of last week's trip, which will be written up in full. The Douro's most famous grape variety: Touriga Nacional, here at Quinta de Romaneira. Yesterday morning. Under the famous cedar tree on the terrace at Quinta do Noval, an awesome tasting of Noval VP and Nacional back to 1963 is laid out. Margaret Rand and Chris Losh, my fellow tasters, with Christian Seely in the background. These babies don't come out to play very often. It was a truly incredible tasting. Christian also included the vintages from Noval's dark era, when quality wasn't what it was supposed to be. Christian contemplates the single, small lagar of 2009 Nacional, which was picked and filled earlier in the day. Had a fantastic time at Noval; now on my way back home, logging on in Porto airport. Just time to post a few photographs. This morning we had a vertical of Noval VP/Nacional going back to 1963, which was rather fun. Top to bottom: Picking Tinta Roriz at Noval; Quinta de Romaneira; Quinta do Noval; picking Nacional; filling a lagar; and a Noval terrace. For the last few days I have been in the Douro, first of all staying at Taylor´s Quinta de Vargellas, and now at Noval. Harvest is coming to a close here; it has been an early vintage, with a very hot dry July and August. Winemakers are describing it as complicated. The weather for this week has been very hot and sunny. Last night a group of us got in a lagar. It was tremendous fun treading grapes. I have so much to report on, but time is short, so it will all have to wait. I'm off to the Douro tomorrow, so I thought it would be appropriate to blog on a high-end Douro red. Quinta do Vesuvio, in Portugal's Douro Superior, makes some of the best vintage Ports of all. A while back, I was lucky enough to have a pretty much complete vertical tasting of the recent era (the Symington's purchased the property in 1989). These are seriously good Ports, and my write up is here. Pictured above is the view of the property from the river. This photo was taken back in July 2006 when, as part of the Quinta de la Rosa centenary celebrations, we enjoyed a train ride up to Pocino, and then a boat ride back down to Pinhao. It was a scorchingly hot day, and many of us decided to have a swim in the Douro. After disembarking, I remember swimming again, in the pool at Bomfim and drinking beer with Luis Antunes, before a low-key dinner where Jorge Moreira poured from a magnum of Batuta 2004, after which there was a power cut. The following evening was the crazy party, which went on pretty much all night. Great memories. As regular readers will know, I'm a great fan od the red wines from Portugal's spectacular Douro Valley. However, they can be quite expensive. So it's nice to find one that's sort of affordable, and which is still pretty serious. Above: José Luís Moreira da Silva, João Perry Vidal and José Maria Soares Franco of Duorum. Duorum is latin for ‘from two’. It’s a joint project between João Portugal Ramos and Jose Maria Soares Franco. As well as two famous enologists, the ‘from two’ also refers to the fact that the wine is a blend from two rather different parts of the Douro. 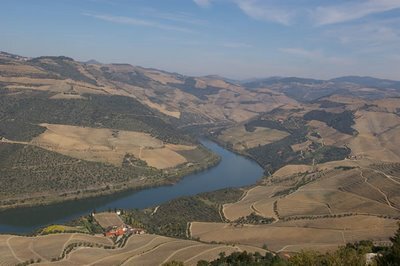 On the one hand, Duorum is renting two old vineyards and buying from a further 15–18 growers in the Cima Corgo; on the other, the Douro Superior, further up river towards the Spanish border. Currently, the Douro Superior vineyards are rented, but Duorum have also purchased 150 hectares – from some 60 different owners – which is being converted into a spectacular Quinta, called Castelo Melhor. Two very impressive Portuguese reds: one from the Douro, one from the Alentejo. Both show lovely focus and definition, and subtle use of oak. The Portuguese seem to be so much less heavy handed than the Spanish with their oak use (yes, a generalization, I know). It's kind of young, but I'm sampling a 2007 Vintage Port. It's from Duorum, the new joint venture between Joao Portugal Ramos (famous winemaker from the Alentejo) and Jose Maria Soares Franco (who for 27 years was the man behind iconic Portuguese wine Barca Velha). 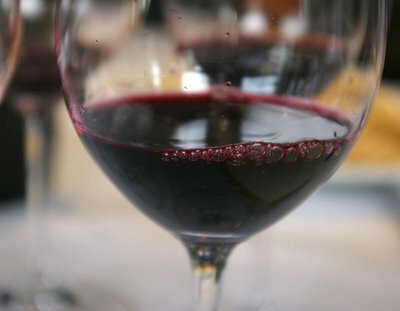 It's incredibly drinkable - like many of the 2007 Ports, it has amazingly vivid fruit. This is a year of intense, vivid fruit expression, and Duorum is no exception here. It shows admirable concentration, with lovely rich, pure blackberry and dark cherry fruit. There's nice freshness, with some violetty complexity and also a bit of white pepper. The palate is firmly tannic, but these tannins are made palatable by the rich, pure, sweet fruit character. I reckon this is one of those Ports that will drink well young (if you're a bit nutty, like me, and don't mind tannin(, enter a short, sulky adolescence, and then age gracefully. I really like the style. 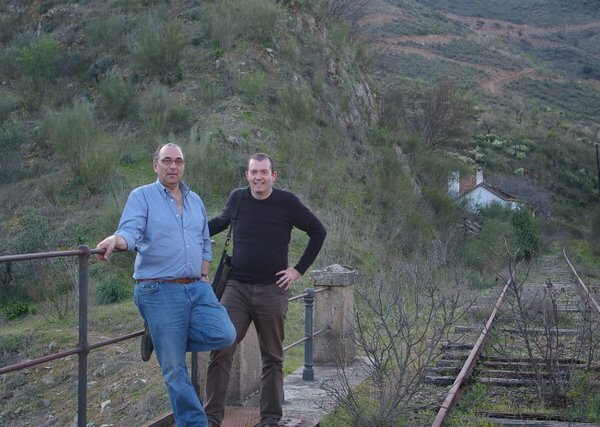 Pictured: Jose Maria Soares Franco and I on the bridge that leads to the Castelo Melhor station (now disused) in the Douro Superior, near the Spanish border. This is at the foot of the Duorum property Quinta de Castelo Melhor. Last night we had dinner with some friends. I always bring a few bottles along, simply because I have access to a lot of nice samples and it seems appropriate to share them around. But my buddy Karl often springs a nice surprise by bringing something interesting - and I really appreciate this. He brought along a bottle of Niepoort's 'Drink Me', which he'd bought from Hampton Hill independent merchant Noble Green. It's one of the most brilliantly packaged wines I know, with the label consisting of a series of 11 cartoons by Steven Appleby called 'Message in the Bottle'. Niepoort have produced this affordable (£10) wine before for foreign markets (they began with Falbehaft for the German/Austrian market a couple of years back), but the 2006 'Drink Me' is the first release in the UK. The wine itself is lovely, and serves as a great introduction to the Niepoort style. 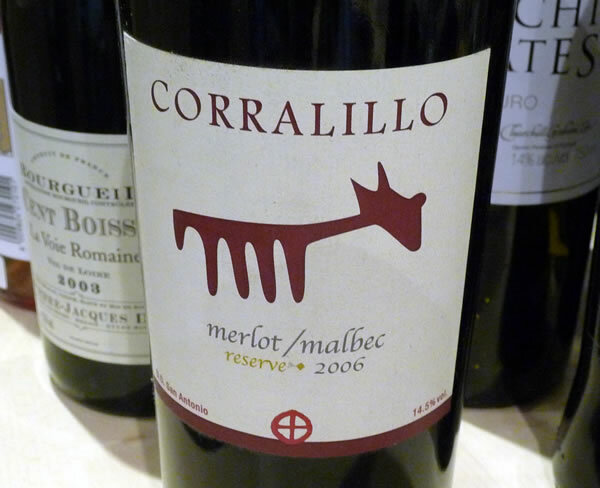 Another wine opened last night was the Corralillo Merlot Malbec from my favourite Chilean winery, Matetic. It works really well because it isn't just about sweet fruit, but also has a lovely savoury, minerally dimension. It still has a bit of a Chilean edge, but this only slightly interferes with the lovely expressive character of this wine. 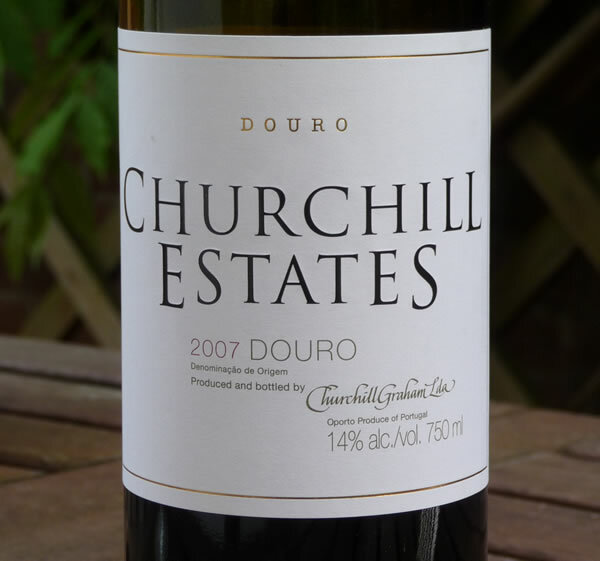 Another Portuguese wine tonight: the Churchill Estates Douro red from 2007. This is fantastic stuff, that manages to engage both on the level of deliciousness (it tastes good), and also satisfies in the intellectual realm, too. It's one of the best affordable Douro reds, and there's really no need to cellar this because it tastes so good now. I reckon it will improve for a year or two in bottle and survive for a decade, or perhaps more. Thoroughly recommended - so much so, that this is one of those wines that I'm reluctant to recommend because if it sells out, I won't be able to get any more. I have a soft spot for Torres, as many readers will know. They make good wines in quantities that ensure everyone can get their hands on them. I wish more big wine companies did as good a job. 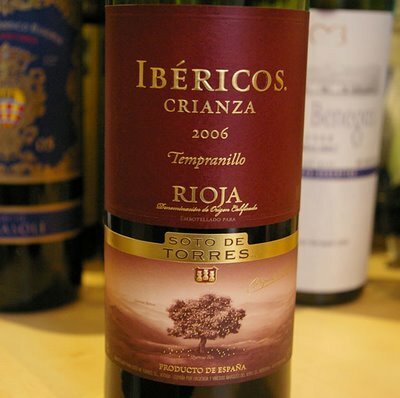 Of late, Torres have branched out from their Catalan base, and have recently released their first Rioja. It's called Ibericos, and 480 000 bottles have been released from the first vintage (2006) - over the next couple of years this is expected to be close to a million bottles annually. The wonderfully pure, focused Waitrose Douro Valley Reserva 2006 from Quinta de la Rosa, which is a brilliantly afforable expression of the Douro. My wine of the evening. Cune Imperial Rioja Reserva 2001, which is deep, spicy and complex with some coconut and vanilla notes. Vina Herminia Rioja Crianza 2004 - sweet, ripe and seductive with a bit of vanilla and some spicy, plummy fruit. Marques de Monistrol Reserva Privada 2004 Catalunya, which is plummy, spicy and dense with a savoury, earthy character to the fruit. 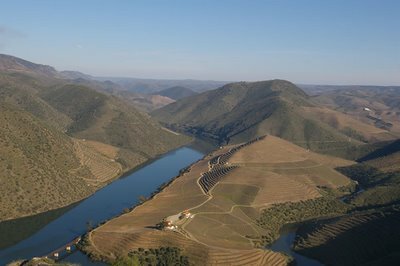 A short film on the new Douro Superior project of Joao Portugal Ramos, called Duorum. The first wine, the Colheita 2007, has just been released. The current wines are sourced from old vineyards in the Cima Corgo (some 15 of them) and also a 60 hectare rented vineyards in the Douro Superior. This film concentrates on the new 150 hectare estate that has been purchased in the Douro Superior and is now being planted. It's a spectacular project. 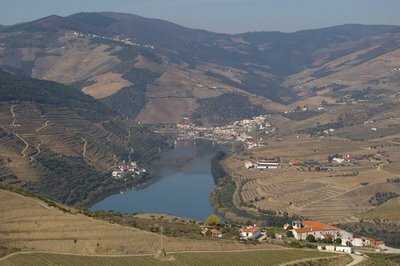 I haven't got time to do the project justice here, so I'm going to post some photographs I took of the Cima Corgo (first two) and the Douro Superior (taken from the Duorum property). I stayed last night at Quinta Foz de Arouce, and tomorrow I'm off to Falua, Joao's property in the Ribatejo. It's unseasonally warm here - in the 20s, which is high for March. Had an interesting tutored tasting today with Johnny Graham of Churchill Graham, who was showing a range of vintages of both his vintage Port, and also Quinta da Gricha single quinta Port. It was part of the Stokes Fine Wine portfolio tasting, so the Churchill table wines, including the 2007 cask samples were also on show. The Gricha wines are fantastic: it's a north-facing vineyard with lovely freshness and definition to the fruit. The Churchill Vintage Port is also superb, but my preference is probably for the Gricha, which probably means I have a bad palate! But I love the freshness, acidity and fruit purity that wines from this Quinta show. 2007 samples of both Ports and table wines were fantastic (the glass above contains the 2007 Churchill VP). This looks like being a superb year - I've already heard lots of good things about it, but these were the first wines I have tasted from this vintage, which could be the Douro's best for a very long time. For 2007, Churchill have introduced some new table wines - a Reserva, a Gran Reserva and a varietal Touriga Nacional. They're all really good. Look out for the regular Churchill table wine in Majestic at £8.99 - it's one of the best value Douro wines out, showing Douro personality at a reasonable price. The 2006 is really good; the 2007 will be a little better. Some good friends came over last night to see the new year in with us, and they brought with them a lovely Douro wine. I love it when people bring wine round: even though we have no shortage of bottles chez Goode, it's great when someone makes the effort, and last night they couldn't have chosen better. The wine is one that I've chosen for the 50 Great Portuguese Wines tasting later this month at the Portuguese Embassy, and it's a brilliant expression of Touriga Nacional from the Douro. I wonder whether this division between Vintage Port and single-quinta Vintage Port is becoming outmoded. Could it be the idea of 'declared' and 'non-declared' years is going to gradually diminish in importance? That's the way it seems to be going. Anyway, this is a wine from a time when the declarations by the major Port houses were the big focus in the Douro. 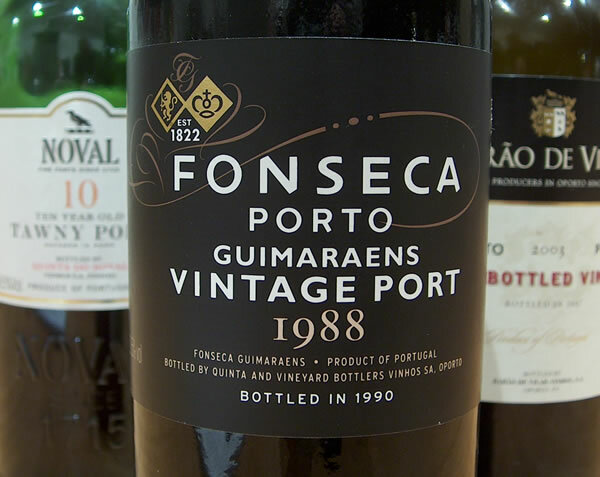 It is a cracking Vintage Port from a non-declared year, and so the grapes here, which in other years might have gone into Fonseca's legendary Vintage Port, were used for this 'second' wine. Having said this, 1988 wasn't a terribly good year, but it has yielded a Vintage Port that, at 20 years old, is drinking perfectly. I'm probably going to be criticized by giving a wine from a dodgy vintage such a high rating, but it's just beautiful - it's not perfect, but it works so well. Had a remarkable wine dinner last night over at the apartment of one of Luis Antunes’ wine friends, Luis Ferreira. A small group (6) of us ate, chatted and drank some incredible bottles. By the time we left it was 4 am. As a measure of how crazy the evening was, at 3 am Luis Ferreira brought out a blind white wine – it was the 2001 Yquem. Incredibly generous of him, but it felt a bit surreal drinking a legendary wine like this at that time in the morning. A mind-numbingly good line up of wines, really. The good thing is that these wines weren’t just tasted and spat: they were drunk and enjoyed. The next wine was served blind. You’d have thought we’d had enough by now. But no, as we stood round outside getting some refreshing night air, Luis brought out a large glass into which he’d dumped a whole bottle of a sweet white wine (it was a half!). I don’t really think my tasting note on this is much use. Truly delicious and quite special it was the Château d’Yquem 2001 Sauternes. A late night post: just back from a Quinta do Portal (Portuguese producer from the Douro) dinner at Ransome's Dock in Battersea. The most remarkable thing about this evening was my journey home. Ransome's Dock is a fantastic restuarant in the middle of nowhere - I can't think of anywhere in central London further from a Tube or mainline station. Yet my journey home was one of the quickest ever. I caught a bus to Clapham Junction (although there was no indication that we'd arrived there, I guessed and got off, and fortunately got it right), and immediately there was a train to Feltham, which meant a door-to-door time of less than 40 minutes. Wonderful. The food was great, and the Quinta do Portal wines and Ports were really good. I think the quality has risen here since I last tasted through the range. I really enjoyed the two 2003 vintage Ports, which had lovely structure and balance. Of the table wines, the 2003 Grande Reserva was showing very well, with tight tannic structure that made me think of Italy, and the 2005 Reserva was focused, dark and fresh with nice structural definition. 2000 Grande Reserva was showing very well, too, and the 2006 Grande Reserva was quite aromatic and fruit forward. All were deliciously good.